Kohlrabi is a crop that gets over looked. It’s an under loved plant. Why? Because most people, gardeners have never tried it, or don’t really know what it is. I will have to admit that I saw it for years in the seed catalogs and always passed it over. It just seemed odd. Kohlrabi is on of the easiest of the brassica family to grow. It is also known as a German turnip. It can handle temperature extremities better than its family members and it can be pretty unique looking in the garden. Often times you will see it listed with root crops, but this baby grows its spherical bulb above the ground. Kohlrabi can be boiled, mashed, and served with butter, made into fritters or added to soups and stews. It can be eaten raw just like an apple, or sliced and tossed into a salad. My favorite way to use kohlrabi is to replace it with the old standard ‘cabbage’ in cole slaw recipes. It has a delicate, slightly nutty flavor, kinda similar to a turnip, only better and it is an excellent source of vitamin C. Some even use the leaves to steam or in green drinks. Kohlrabi usually takes only six to eight weeks to mature. Often times I intercrop it with Brussel sprouts as it requires the same conditions as other brassicas and it will be long gone by the time the Brussel sprouts need the space. I start to plant my kohlrabi the end of January here in Southern Utah and will continue to plant through the middle of March. White/green varieties for early sowing and purple-skinned varieties, which are hardier, tolerate the heat better, later in season. 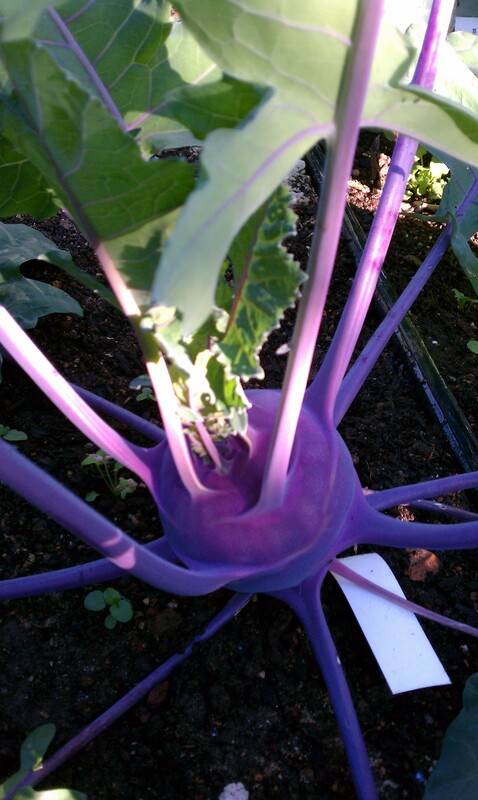 Kohlrabi prefers rich, moisture-retentive, free-draining soil. When transplanting your starts into the ground I always add Bio-Fish nutrients, about 2 T in the hole where each new little plant will go to give it a boost. Always mix in your nutrients/fertilizers with the soil in the hole so you don’t have direct contact with the roots and the fertilizer. I always use organic fertilizers because they have less of a tendency to burn new transplants and they are slow release, but regardless of what you use, it’s a good habit to get into when adding fertilizer. Firm in your transplant! Firm it in! Brassica likes to have a firm foundation. Not bad, hard soil, just firm around the plant. Give a slight tug on a leaf, if it comes up, it isn’t firmed in enough. I like to space my plants about a foot apart. 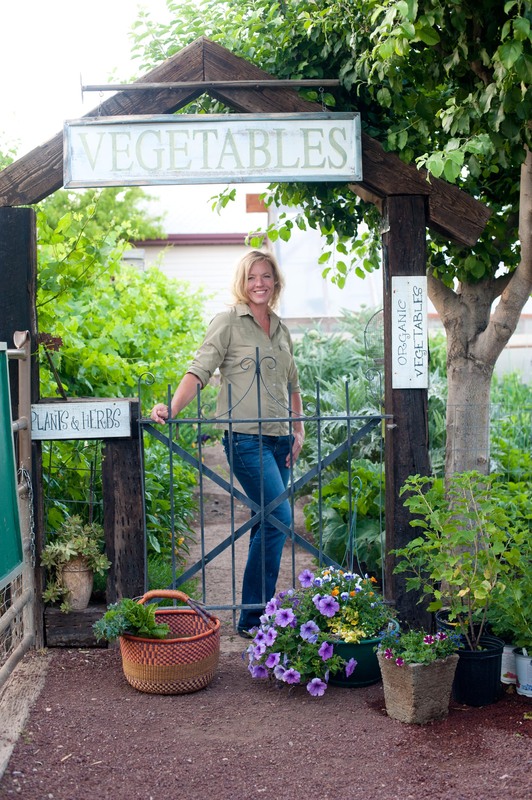 Water in well and keep your soil evenly moist for the duration of the growing period. If your bulb cracks, it was probably because of water fluctuations. To much water, then not enough. Fertilize again at three weeks with Bio-Fish, or use a liquid fertilizer. Keep weed free. Weeds only rob your plants of nutrients. Dirty buggers! Pick kohlrabi when it is about the size of a golf ball, but no bigger than a billiard ball. Just simply pull from the ground and toss the leaves and roots into the compost. If you are growing closely to other plants and pulling the plant up will disturb nearby companions roots, then just cut it off at ground level. 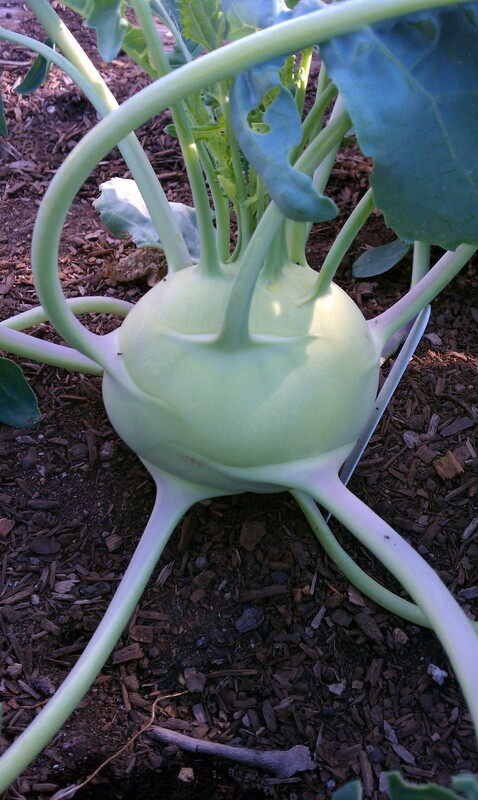 Kohlrabi can be grown in the fall time to. I start seeds in mid-July and plant by late August having a harvest at the end of October. If you live in a mild climate where the summer temperatures don’t go above 90 degrees for weeks at a time you can grow it during the summer months to.